My new favorite seasoning du jour is Urban Accent's Mushroom Truffle Hunt! When friends and I paid a visit to Urban Accents last weekend, they prepared this delicious Mushroom, Truffle Artichoke dip using this seasoning. It was so good, I bought 2 bottles of the stuff. Any mushroom lover will soon be addicted to this dip and it's super easy too. With only 3 ingredients, how could it be a bad thing? 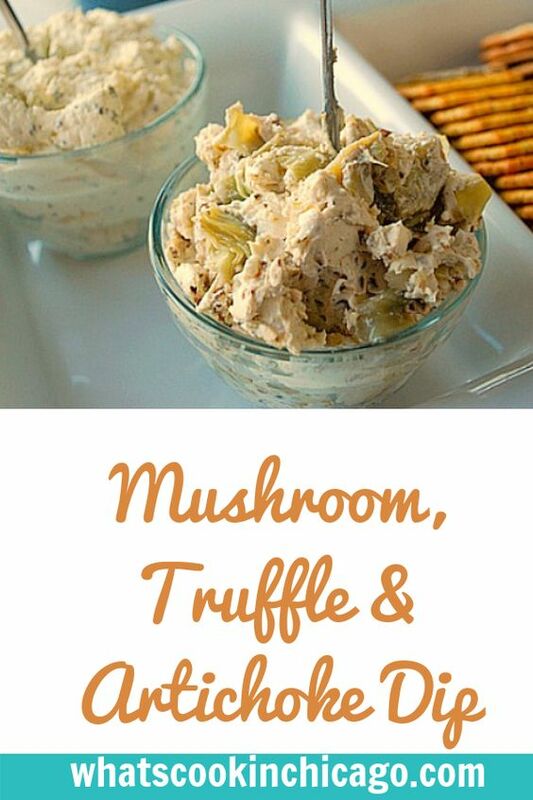 Just combine an 8oz package of softened cream cheese, 1 tablespoon of Mushroom Truffle Hunt seasoning (or more if you want a more pronounced mushroom flavor) and 1/4 cup of chopped artichoke hearts (either frozen & thawed or jarred/canned & drained). Mix it all up to fully incorporate and let it sit covered in your refrigerator for at least an hour for the flavors to meld. 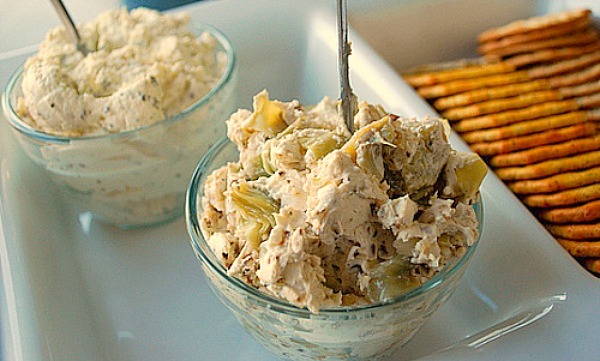 Serve with crackers and voila, a great, easy and tasty dip perfect for guests! This looks delicious! You have a knack for finding the coolest seasonings!